After years of planning (mostly dreaming) it's finally been done. 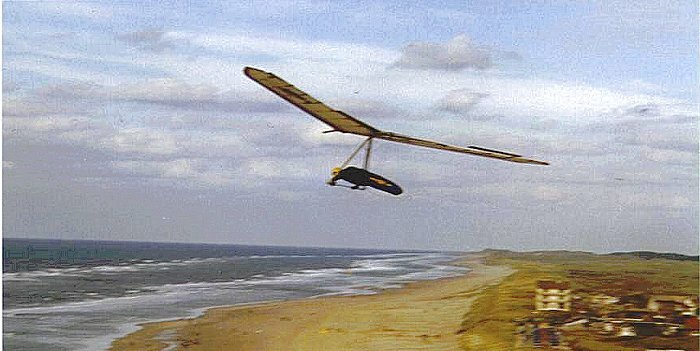 80km of dune soaring, non-stop in North Holland. Conditions were good a strong, Bft 6-7 WNW wind with gusts as well meant that the standard route passed Castricum, Egmond and Bergen aan Zee were no problem. Nice to watch a motocross race on the beach at Castricum as we flew past. to set off onto the dreaded Hondsbossezeeweiring a 4,5km sea dijk. It's shape gives you bearly enough height to stay up and it's always been a barrier splitting up this part of the coastline. Rob v/d Leeden and myself were up for it, the others who were with us, Hayo and Cornelia elected to fly back. Rob set off first and after 1,5km I set off after him, the sky went dark and it looked grim with the waves crashing onto the seadyke. 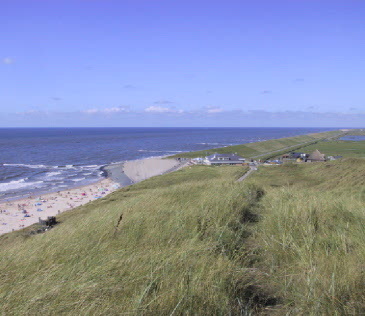 It was quite tricky, bum clentching work, no one said a thing over the radio until we reached Petten on the other side after what seemed like an eternity!. What a relief, I felt shattered. 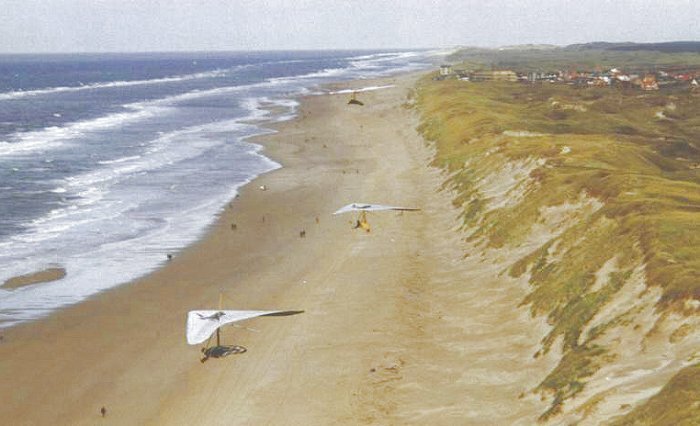 We flew on further passing the hign dune of Callantsoog and onto Groote Keeten were we decided to make our turnpoint and head back home any further and we would be into the CTR of De Kooy. It was slightly easier with a tailwind and the zeeweiring didn't feel half as terrible as the first time over. Back over the same route seemed to be easier and less turbulent and could relax a little, the hard work was over. The 80km took 3 hours, 5 minutes, some of the most intense flying I've ever had in my 15 year flying career. 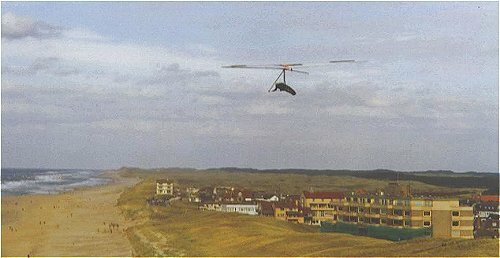 Maybe one day with a little more preparation it may be possible one day to get permission from the military airfield De Kooy to transit all the way to Den Helder for the final 11km to Huisduinen. Who know's perhaps dreams do come true?